Founding partner of Alten Energías Renovables, he read Business Studies at the University of the Basque Country (Sarriko) and some years later, he took an MBA at the IESE Business School (Barcelona). Prior to founding Alten, he spent two years working in the Investment Banking Department of Deutsche Bank; some months in Capital Riesgo Internet (CRI), a Banco de Santander venture capital fund investing in the internet and new technologies; and he worked for five years at GBS Finanzas, an investment bank providing M&A consultancy services and a market leader in midcap deals. 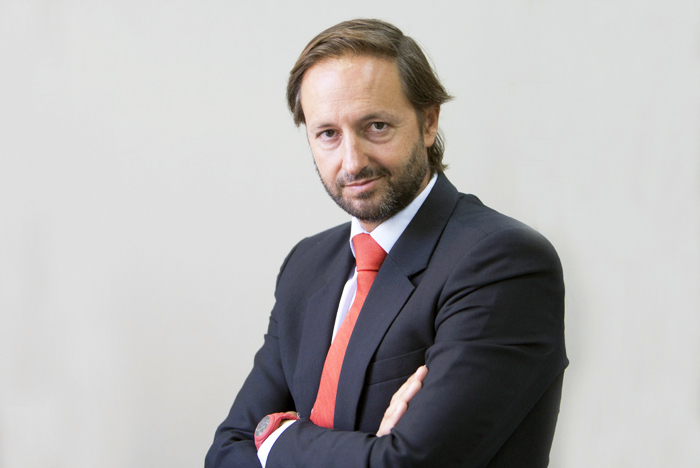 Throughout his career, Carlos has been involved in advising countless customers: Terranova (merger with CESA), Telecom Italia, Endesa, Unión Fenosa, TPI Páginas Amarillas, Indra, Comunica con A, Freixenet, Ebro Puleva, NH Hotels, many private equity funds, etc. Since 2006, Carlos has led the development, investment, construction and operation of all Alten projects, with a total investment of €240m, financed with equity and six project-finance schemes with many banks and other financial entities.